This trim ring is 15 Inch x 2 1/2 inch step style. 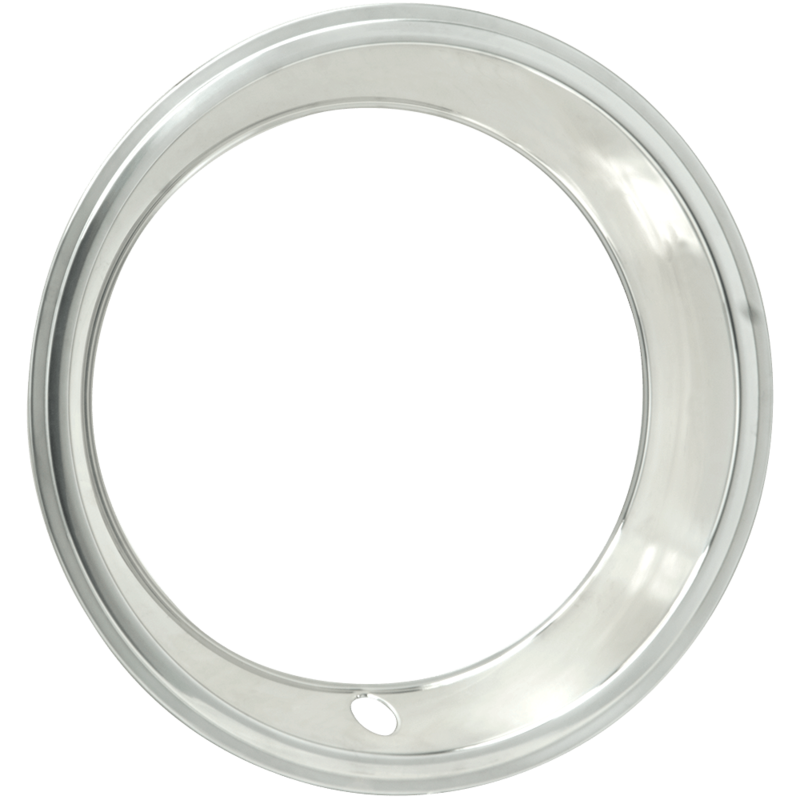 15 inch wheel trim rings are very popular accessories for stock or aftermarket steel wheels. 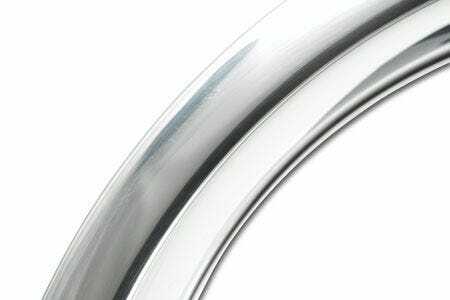 These 15 inch beauty rings feature high quality stainless steel construction and a nicely detailed stepped outer edge. 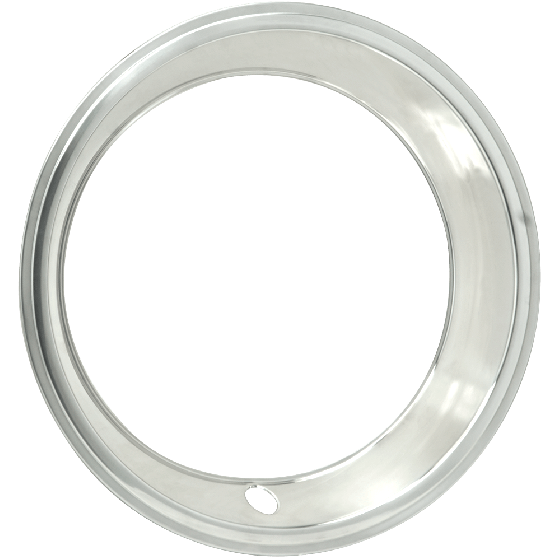 This trim ring will fit most 15" steel wheels that do not have outer nubs for full-size wheel covers. How is this ring measured to get the 2 1/2" step, is it from the bottom of the ring to the top edge? 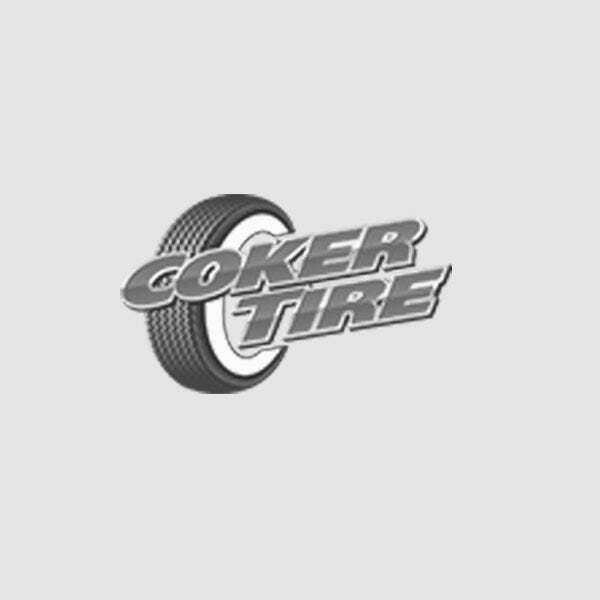 The 2 1/2 inch depth is total amount of metal material, from inner to outer diameter. The "step" simply indicates the trim ring is not entirely rounded. Will this trim ring work on the same wheel only a15x8 instead of 15x7 Chevelle rally wheel ? Yes, there will simply be a larger gap between the inner edge of the trim ring and the wheel center.